It is said that our lives are shaped by adversity. It seems to me our greatest heroes, more often than not, are ordinary, everyday folk who rise above their background and the hardships life has dealt them to live a purpose driven, meaning rich life. Let’s explore what it is to be a hero, together with the notions of adversity and hardship, through some of the photos I made on the sublime Huangshan (i.e., Yellow Mountain) in Eastern China. Yellow Mountain is, quite possibly, the most beautiful place I have ever been. It's mum and dad, raising a family in a stable and happy atmosphere, despite significant financial difficulties. It's the quite achiever: stay at home parent, volunteer or worker who chooses to make a vocation of what they do. It's the artist, turning away from short term financial rewards and accepting a more difficult life in the pursuit of making a difference through the work they produce. The image at the very top of this post was made at the end of a side path on Huangshan. It was pure serendipity that caused me, in fading light, to follow that path rather than staying on the main trail back to my hotel. It was very cold, somewhere below -10C, but I just had to know where that path would lead me. The weather meant that any hope of a sunset had long since faded. Nonetheless I was stunned when I reached the end of the path and was confronted with this view, one of the most sublime I've ever encountered. You can see why I selected the photo as this article’s hero image, which has been very much inspired by my own, person heroes. The image was created at 1/5 second with an aperture of f/11 and at ISO 100 on my then Canon 5D Mark II camera. I used my general purpose Canon 24-105 mm f/4 L-series lens to make the image. Fortunately the end of the path lead to a small landing which provided a great view of this magnificent scene. I remember being surprised at how close I was to the foreground peaks. This caused me to set my lens to a focal length of 24 mm which allowed me to include a sufficient amount of surrounding landscape around the Avatar like structure in the centre of the image. You can see how, by including the surrounding landscape, I was able to place the primary peak in its environment and also illustrate the rolling mists which contribute to the brooding and magical splendor common to the group of mountains known as Yellow Mountain. A scattering of snow, on and around the mountain trail, on Huangshan (Yellow Mountain), China. While making the photo I remembered talking with an old friend who told me how a family tragedy that occurred when he was young helped determine his philosophy on life. In particular he spoke of how that truly negative experience had galvanized his attitude towards life. There would no longer be any reason to waste time. The world was full of opportunities, which he intended to embrace head on. Whether workday or weekend, he’s up early and on the go. He is clearly able to separate work from play, which allows him to set free time aside for a range of passions, including his photography, at which he excels. Rather than fearing risk, he embraces it. A good example is his approach to technology. He's what you might call an early adopter. Once he's found something that whets his appetite he's onto it. I guarantee this man will never die not knowing. The road ahead is not always clear or easy. But all journey's starts with a single step, and each subsequent step shortens the journey and immerses you further in the adventure. Into the mist - my road ahead on Huangshan, China. Life is a barrel of experiences and it's our attitude and our world view that determines what we make of those experiences. If we want a happier, healthier and wealthier life we need to change our mind. For it is the way we perceive the experiences and events around us that determine our reality. Said another way there is no such thing as reality, only what we make of what happens around and outside of us. Buddhism tells us that the best way to shape our reality is to control the way we perceive that reality. Our life is actually shaped by the meaning we attached to our experiences. So, to live a life full of positive experiences, it's essential to change the way we feel and respond to what happens to us. Perception and feeling are, therefore, critical to the way we experience the world around us. A tree, encrusted in ice and surrounded by mist, suggests fragility on the sublime Yellow Mountain in Anhui Province, China. Let us all make a determined effort not to be sucked into the negativity that surrounds so much of our lives. There is sorrow and despair for the taking, but there is also bliss and abundance for the making. We need to train ourselves to control our own negativity, to stand back from it and see it for what it is: something foreign and totally separate from our true self. 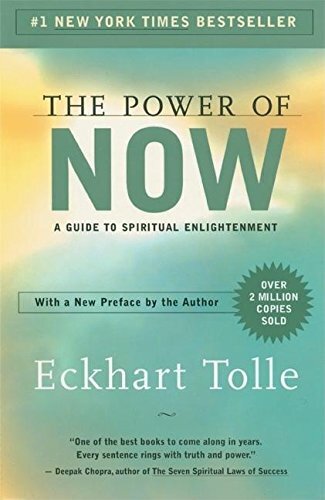 Have you read The Power Of Now by Eckhart Tolle? I found it to be an outstanding read and a book that can be returned to, again and again, for powerful insights that help explain how we perceive and control what happens around us. Here’s one really useful technique mentioned in the book that can help take you out of a potentially explosive situation. It’s all based around the need to take yourself out of a negative emotion and, thereby, defuse the situation. Simply visualize yourself looking down on your body and the people and events surrounding you. By doing so you can separate yourself from the noise created by your mind and, as a consequence, diminish the power your mind has over you. This simple technique will allow you to create plenty of space for all the positivity you could possibly wish for. One of the best things about travel is that it reminds me just how lucky I am to have grown up in Australia. It’s far from perfect, but life is a whole lot better here than what’s available to most people in our world. All the more reason to be happy with what we have and, while we strive to improve ourselves, to be thankful for the wonderful experiences our world provides us with each and every day.